Kaelan is a filmmaker studying at Syracuse University. 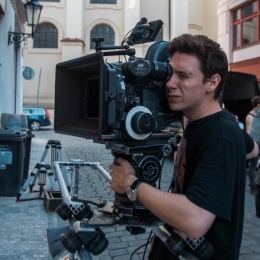 He was raised as a struggling existential artist since his young childhood in Southern Vermont, but his passion for Film has lead him to study in Bologna Italy, and Prague Czech Republic. He is excited to return home to Vermont and spend a summer with other excited young artists. During the rare occasion when he is not working on set he enjoys listening to bass music, watching movies and drinking coffee.